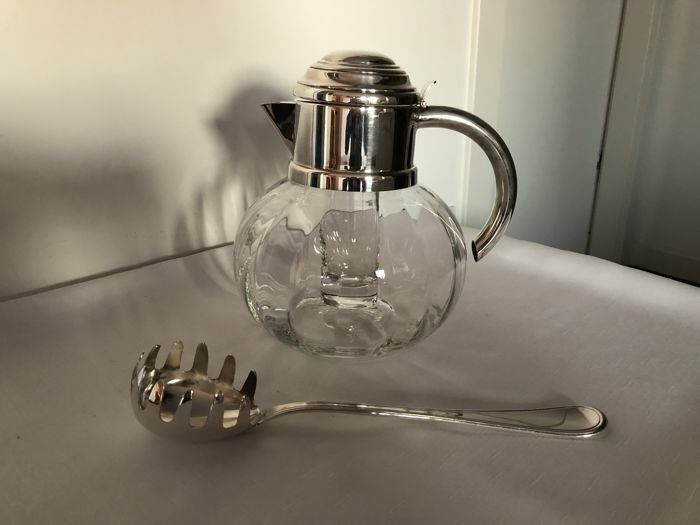 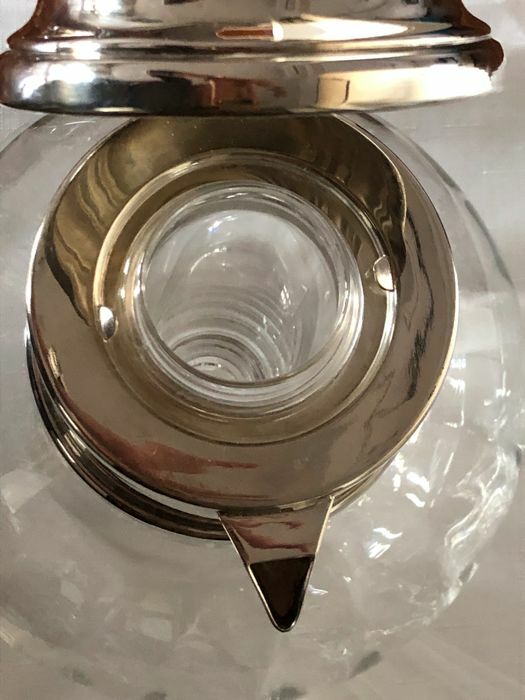 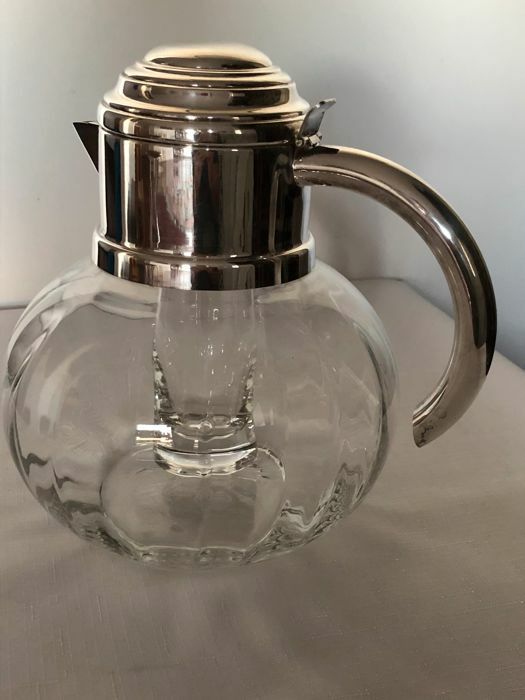 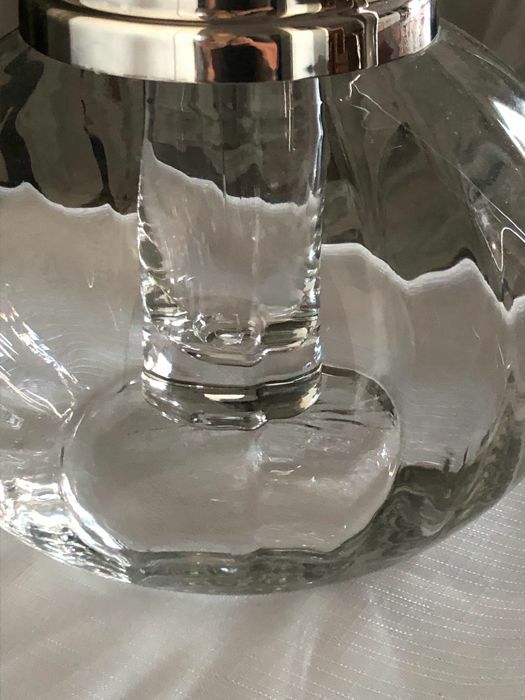 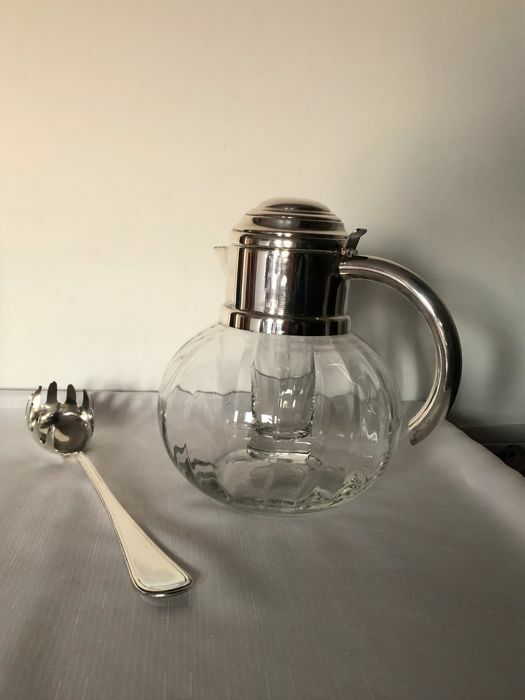 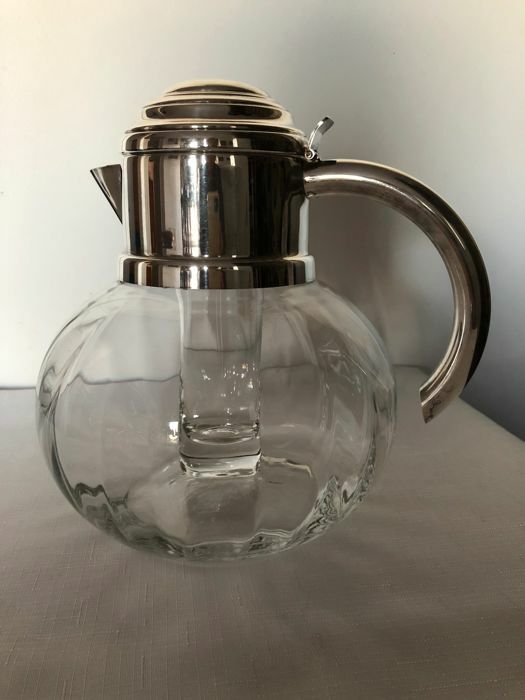 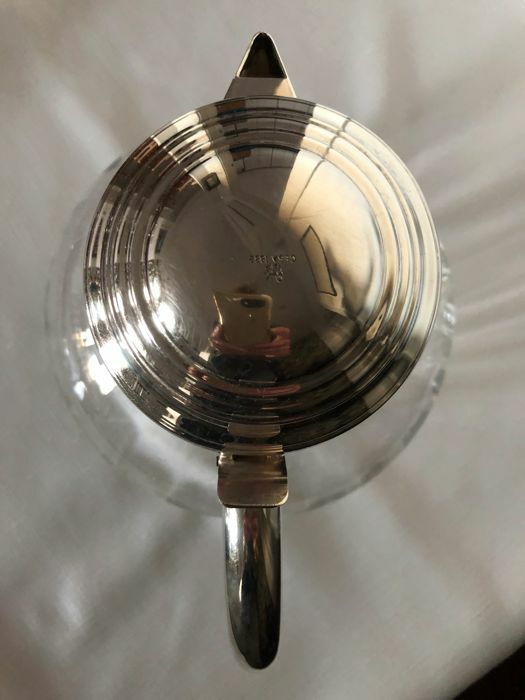 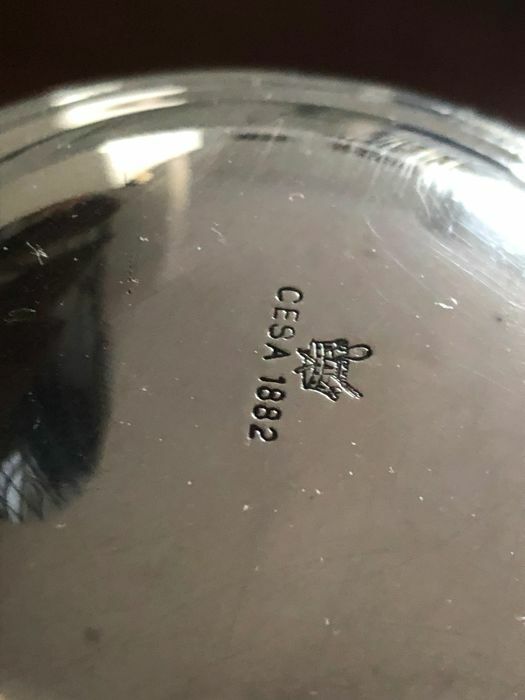 Crystal pitcher, with silver plated cap and spout, by Cesa 1882. 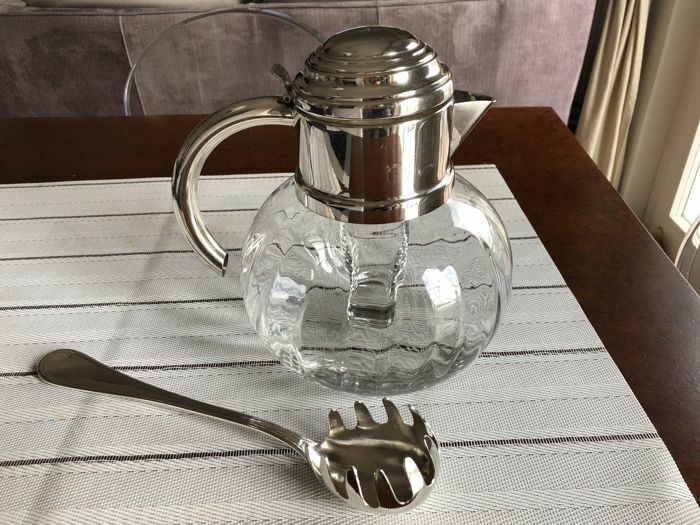 Provided with ice compartment. 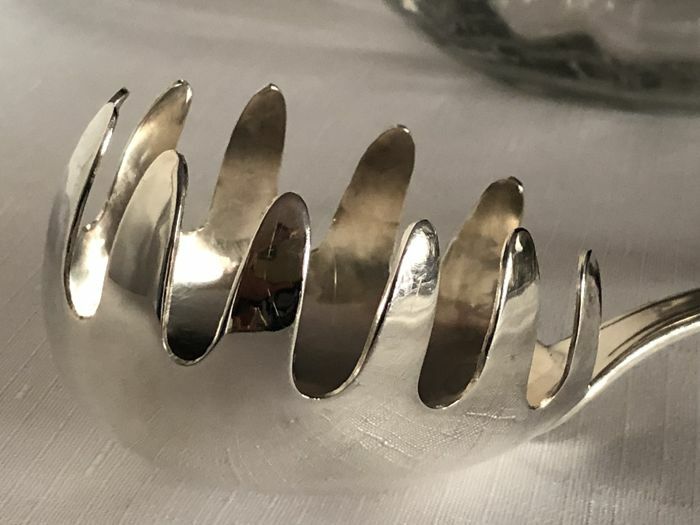 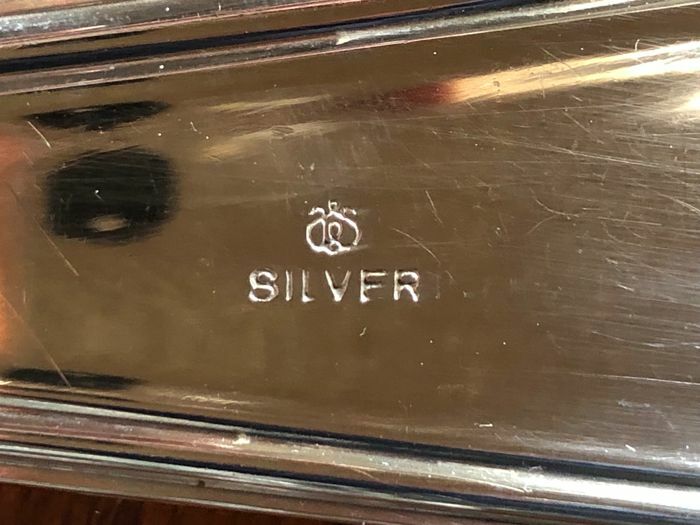 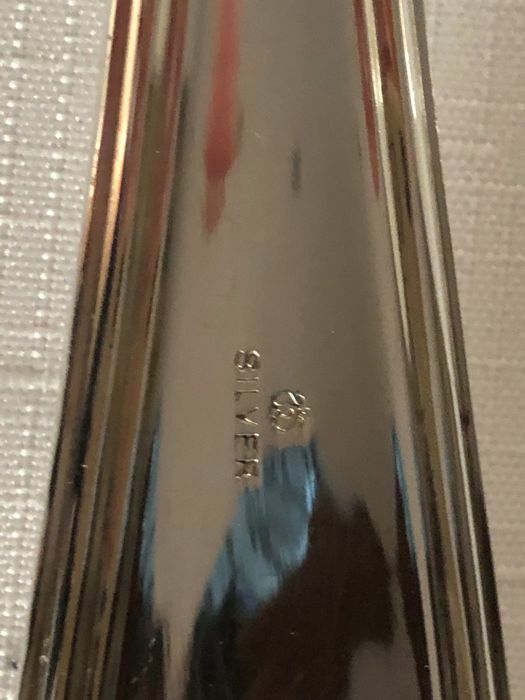 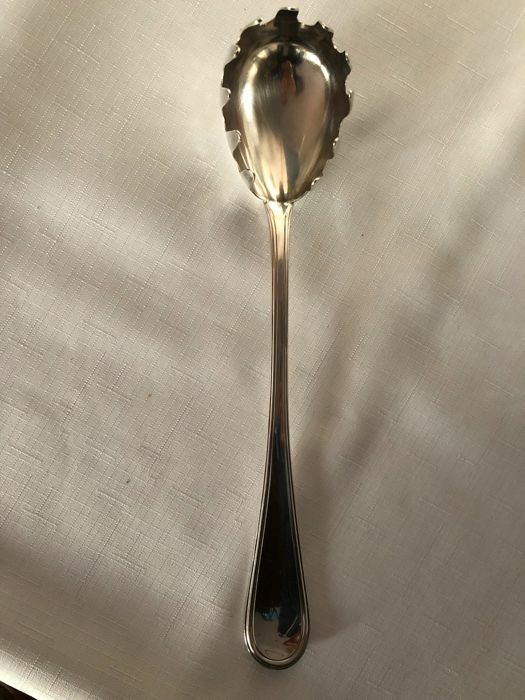 Suitable for water, sangria wine, etc., and perfect for an elegant table setting.Silver plated spaghetti serving spoon.